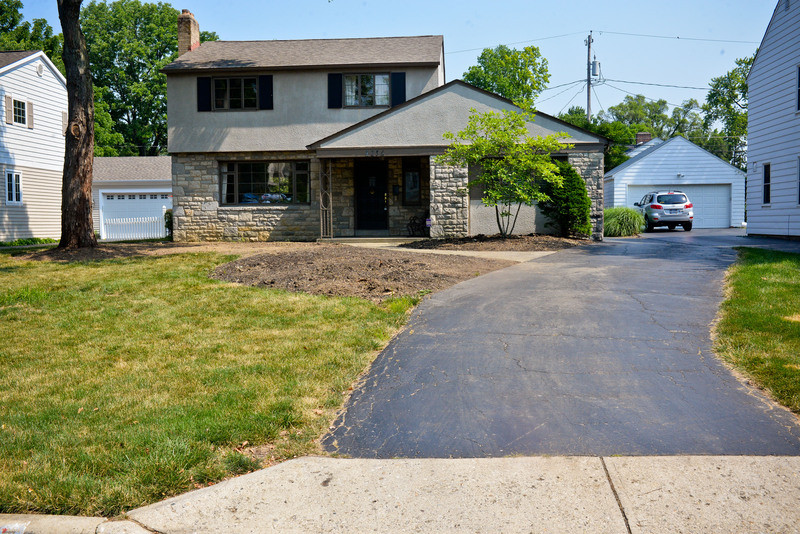 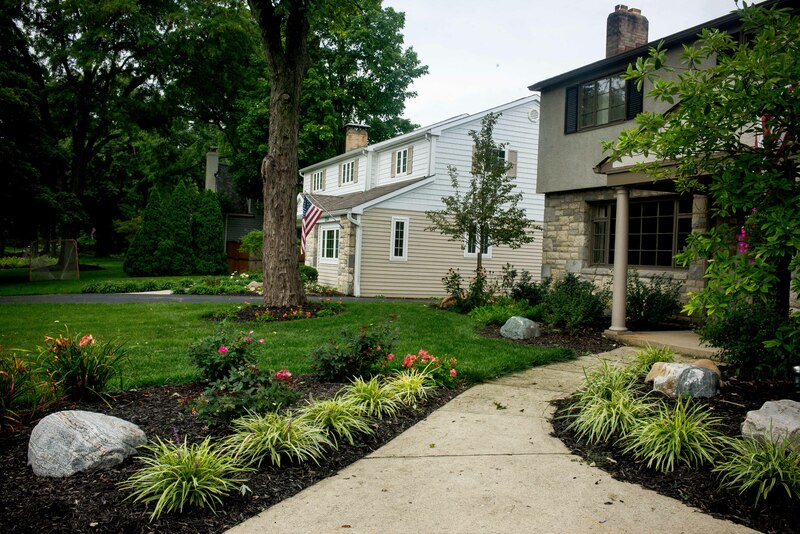 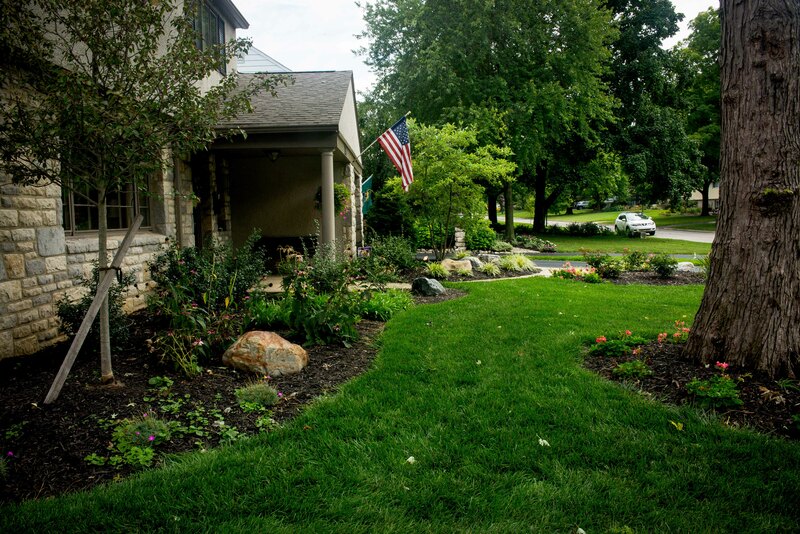 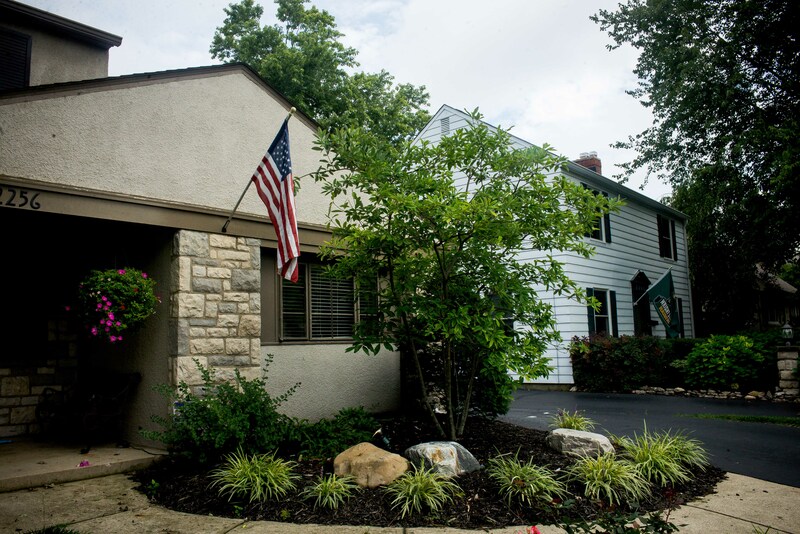 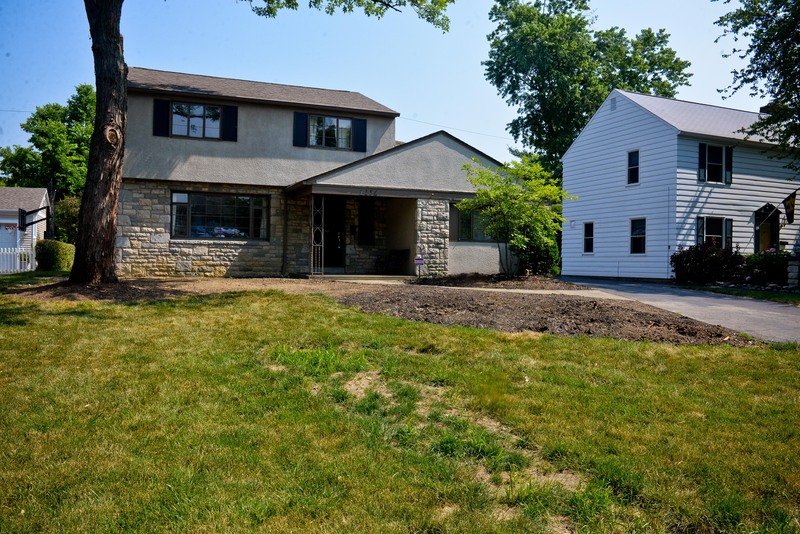 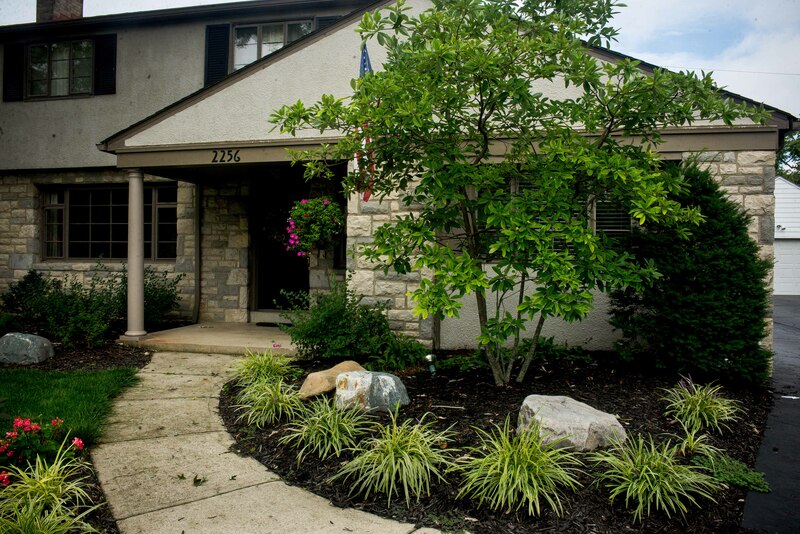 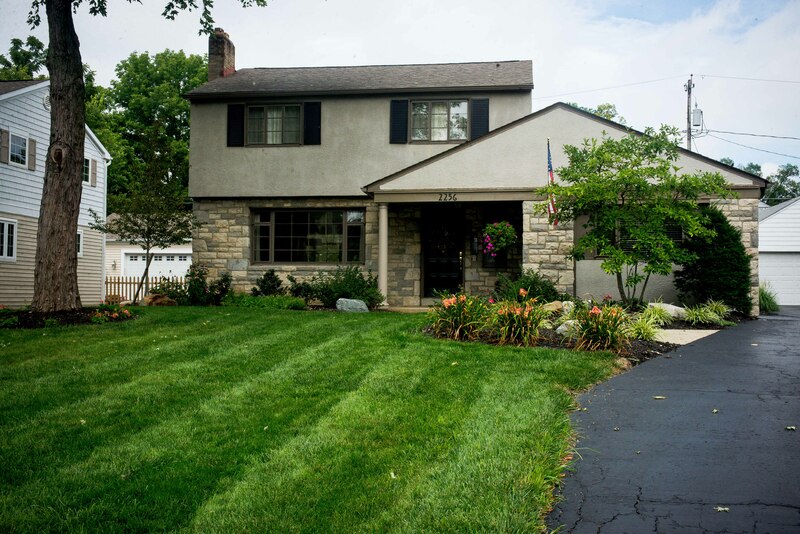 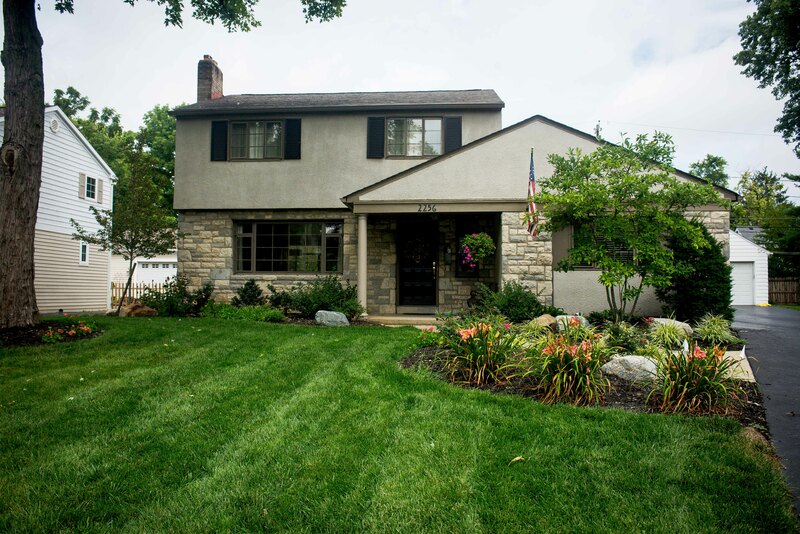 This modest Upper Arlington home was in need of a front landscape face lift. 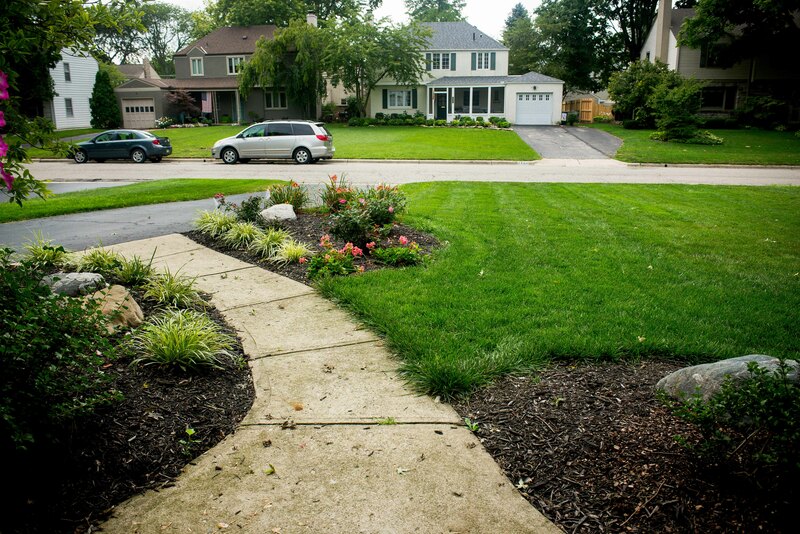 This involved reducing bed sizes and removing most of the existing plants to better fit the scale of the house. 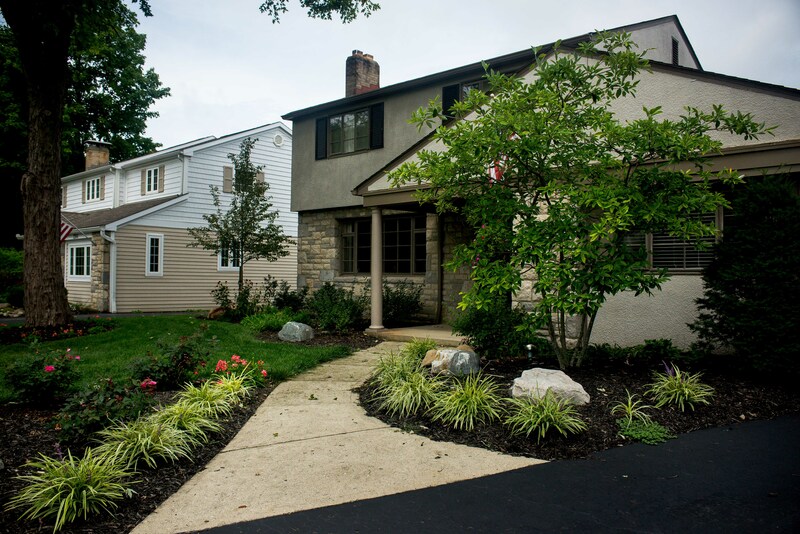 We removed an invasive groundcover and added a more appealing variety of woody shrubs and perennial color. 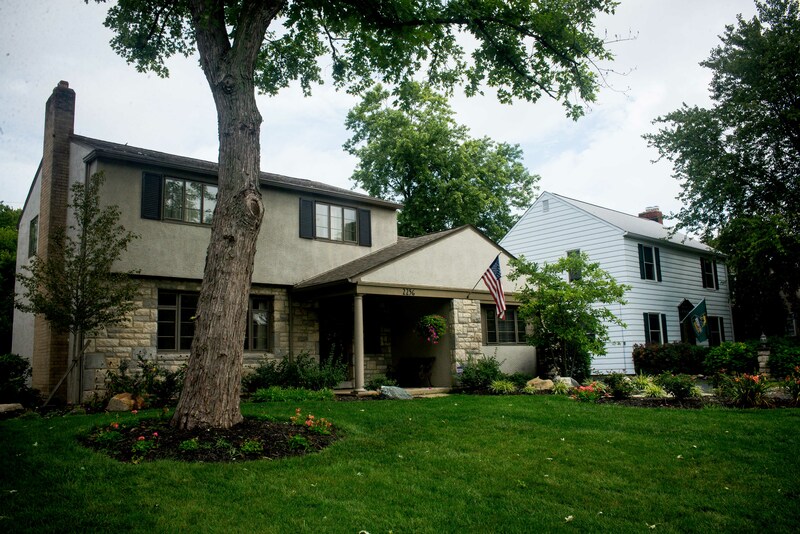 LBT proposed to remove a large Silver maple that anchors and shades the south exposure house but the owner was insistent that it remain. 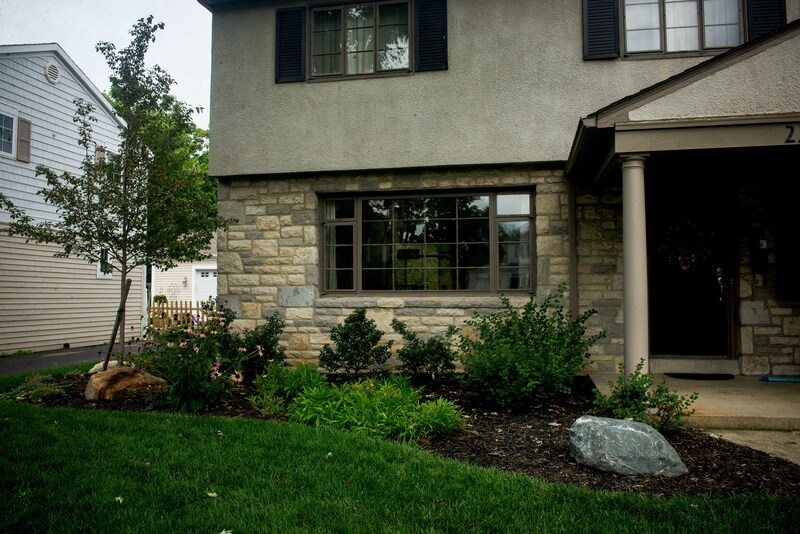 After properly thinning and shaping this unsightly tree, both parties were pleasantly surprised how well it fit in the new look and even installed a small stone accent wall to highlight it. 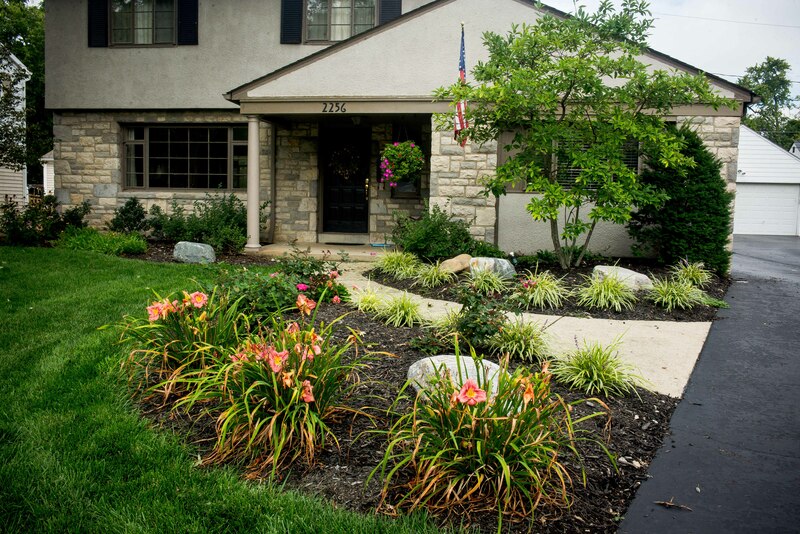 LBT renovated the back landscape several years prior to the front renovation and added some additional perennial color.